Gettin’ MIDI with it! Na na na na na na na nana! Sequencers are an interesting type of electronic instrument, capable of playing a selectable beat over and over. These devices can take many forms, but the GRIDI (“Grid plus MIDI”) is likely one of the largest. It takes the form of a table with a 16 x 16 grid of lights embedded in it. Each of these lights, along with a sensor, are placed at the bottom of a small round recession on this table. When in operation, a line of these lights light up, travels in a set rhythm to the other side of the table, then reappears at the beginning to start the loop over again. As entertaining as this is by itself, if a marker is placed in a dimple, then when the line of lights passes over it, the instrument signified by that position is played. As there are 16 positions that the line passes over, this allows for 16 virtual instruments to be sequenced at each line position. The brainchild of musician Yuvi Gerstein, this contraption is inspired by Damien Hirst’s Spot Paintings, which can be seen on display behind the sequencer in the video below. Control is accomplished by an Arduino Mega (ATmega2560), along with a Macbook Pro. As you might suspect, although the build looks very clean, there is a lot of wiring behind the scenes that makes this electronic instrument work! Intrigued? You can check out this article for even more information on this brilliant system. This entry was posted in Arduino, Maker Movement and tagged Arduino MIDI, Arduino Uno, ATmega328, GRIDI, MIDI, Yuvi Gerstein on December 23, 2015 by Jeremy S Cook. This IKEA highchair hack is tray-mazing! We’ve seen Maker parents mod their children’s odds and ends in the past, but this highchair may have taken it to a whole new level. That’s because Phil Tucker has hacked his baby’s $20 IKEA dining accessory into pro-gamer training rig and then some. To make the aptly named Highscore Chair a reality, Tucker scavenged a pair of joysticks and buttons for true arcade aesthetics, as well as an Arduino Uno (ATmega328) to trigger samples loaded onto an Akai MPC1000 synthesizer via the MIDI interface. There’s also a battery supplying some power. These electronics will be, if not already, housed inside an enclosure underneath the tray for enhanced safety. “I’ve added MIDI out, which amounts to 10 MIDI triggers, eight for each joystick and one for each button. The Highscore Chair now triggers samples loaded onto an Akai MPC1000, but with MIDI out it could be used as any sort of control surface now,” Tucker explains. Gaming aside, what’s really cool about this project is that it can become modular with various trays for different activities. (This particular IKEA piece enables you purchase extra interchangeable tabletops.) Think Graco meets LEGO. Sound like something you’d love for you or your child? Head over to the Maker’s project page here. This entry was posted in Arduino, Maker Movement and tagged Akai MPC1000, Arduino Uno, ATmega328, Highchair, Highscore Chair, IKEA Hacks, IKEA Highchair, MIDI on November 30, 2015 by The Atmel Team. The NS1nanosynth is a modern, analog/digital synthesizer that fits in the palm of your hand. Back in the 1970s, modular synthesizers were often bulky and expensive. Reproducing an exact patch was not only difficult, but virtually impossible. Throughout the years, these devices began to be largely supplanted in pop music by highly integrated keyboard synths, racks of MIDI-connected gear and samplers. Fast forward a few decades and products like littleBits’ synth kit have made piecing together a modular machine just as simple as interlocking LEGO bricks, not to mention tiny enough that it could fit in the palm of your hand. 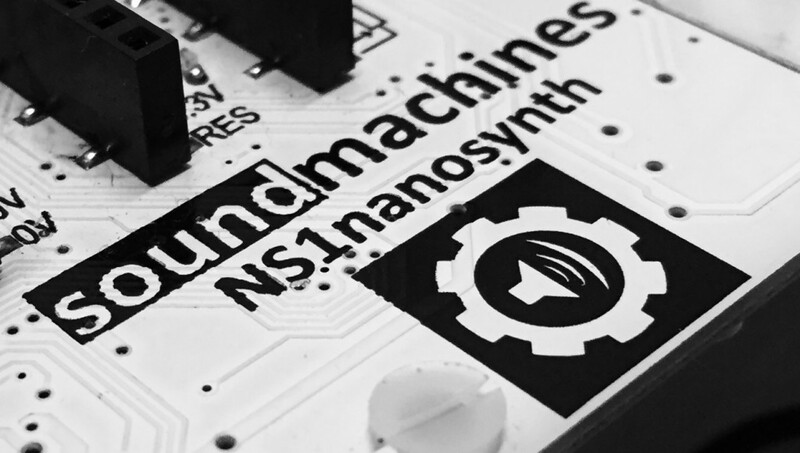 Taking that one step further is Italian startup Soundmachines, who has pulled out all the stops with their latest DIY kit dubbed the NS1nanosynth. The all-in-one unit allows you to have fun by mixing together new and exciting combinations from over 20 different building blocks. These include a voltage-controlled oscillator, two low-frequency oscillators, an ASDR (attack, sustain, decay and release) envelope, lowpass and bandpass filters, a voltage-controlled amplifier, as well as an assortment of “micro” modules like mixers and multiples, sample and hold, sum/sub blocks, inverters, analog dividers, clock dividers, fixed voltage generators and sensors. And that’s not all. Designed with the Maker crowd in mind, the NS1nanosynth is built around the Arduino Leonardo (ATmega32U4) and features both MIDI and USB support. The handheld synthesizer measures just 220mm x 85mm in size, enabling it to fit just about anywhere from your bag to your back pocket. What’s more, 5V/400mA of power is supplied either through the classic 5.5mm jack or via microUSB. “You can, of course, get rid of everything and write whatever you want on a perfectly formed standard Arduino platform. 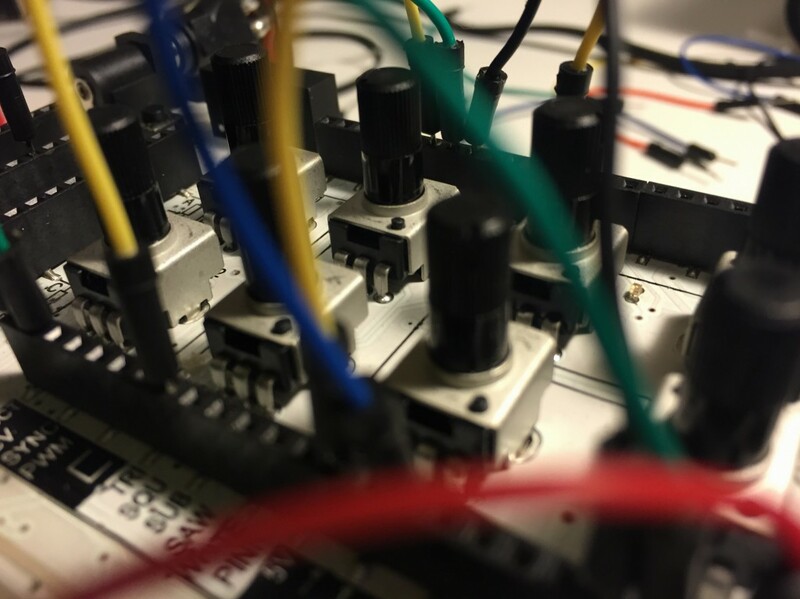 It’s up to you to use your standard or custom libraries and do modulations, connect to wireless stuff, use the on-board dual DAC and quad digital potentiometer,” the Soundmachines crew writes. Intrigued? Read all about the NS1nanosynth on its official page here, or watch its demo reels below! This entry was posted in Arduino, Maker Movement and tagged Arduino, Arduino Leonardo, ATmega32U4, MIDI, Modular Synth, Modular Synthesizer, Synth Kit, synthesizer on September 14, 2015 by The Atmel Team. Connect this AVR-based board to a MIDI device and make your own NES-style chiptunes. Chiptunes are a type of synthesized, electronic music produced by old-school video game consoles, which became ubiquitous throughout arcades and living rooms in the ‘80s. Originally, 8-bit tunes were primarily practiced by game soundtrack composers like Rob Hubbard; yet, it wasn’t before long that tools like Karsten Obarski’s Ultimate Soundtracker were introduced, making the creation of such sounds much easier and widespread. While it mostly remained an underground genre, chiptunes certainly had their moments of moderate popularity, influencing the development of electronic dance music for years to come. Who could forget the routine of pulling out your Mario Bros. cartridge, blowing into it, slipping it back in, and once successful, being welcomed by its catchy theme song? Well, those looking to spark up some nostalgia will surely get a kick out of the Arcano MIDI NES Chiptune Synthesizer, an AVR-based MIDI device that allows artists to make Nintendo-style chiptune music. Each Arcano MIDI NES Chiptune Synthesizer is equipped with a 1/8” mono audio output jack, MIDI input through a standard DIN connector, a seven-segment LED waveform mode indicator, a simple two-button interface, and a preprogrammed ATmega328 for its brains. Beyond that, a six-pin AVR ISP header enables programmers to Flash the embedded MCU with their own custom software and create waveforms, envelopes, software low-frequency oscillators and PCM samples. Unlike many other MCU-based synthesizers which use internal PWM peripherals to generate weak, scratchy audio signals, the Arcano MIDI NES Chiptune Synthesizer employs an auxiliary digital-to-analog converter chip to produce a clear, high-quality audio signal. The synth is capable of generating audio at an output rate of 44.1 KHz; however, for a more authentic chiptune sound, lower output rates are recommended. “The hardware is capable of up to 8-bit quantization. A software bitcrusher is used to achieve the lower bit depths used in the NES. This bit-crushing effect is most evident in the Arcano NES Chiptune Synthensizer’s reproduction of the Nintendo Entertainment System’s 4-bit triangle wave channel, often used for bass lines and tom-tom drums,” its creators explain. What’s more, the latest version of its software features additional white-noise-based percussion sounds, such as open and closed hi-hats, along with additional waveform modes that can emulate the detuned reverb effects characteristic of the music from the Mega Man series of NES games. Ready to recreate some magical 8-bit music? Head over to the synthesizer’s Kickstarter page, where Arcano Systems successfully garnered well over its asking goal of $1,000. The first batch of units have already begun shipping. 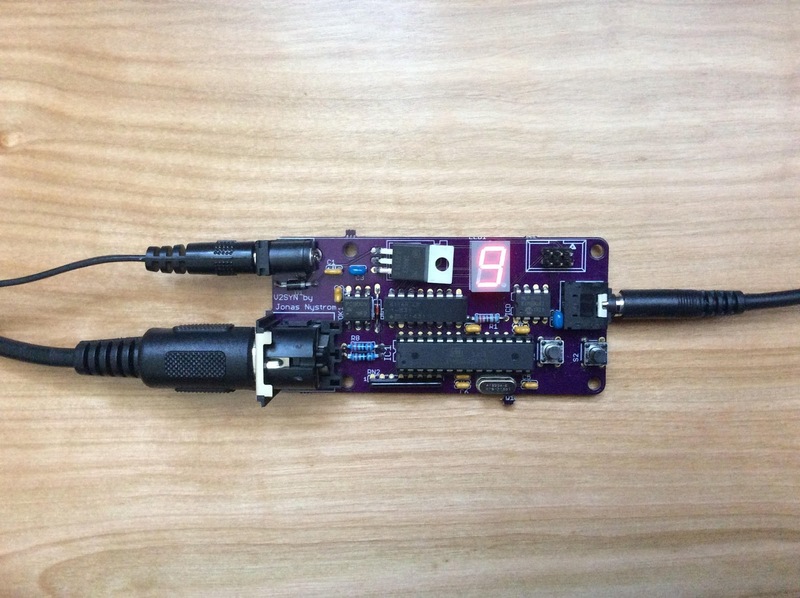 This entry was posted in Maker Movement and tagged 8-bit, 8-bit music, Arcano MIDI NES Chiptune Synthesizerr, ATmega328, AVR, Chiptune Music, Chiptunes, Kickstarter, MIDI on July 30, 2015 by The Atmel Team. EJtech has developed an experimental textile that could serve as an interface for sonic interactions. Esteban de la Torre and Judit Kárpáti, who together make up Budapest art and tech lab EJtech, have made a name for themselves in exploring the intersection between sound and textiles. You may recall one of their earlier works, Chromosonic, a chameleon-like material that could sense its surroundings and change color based on temperature and sound. Now, they resurfaced with their latest concept for an experimental textile that could serve as an interface for sonic interactions. 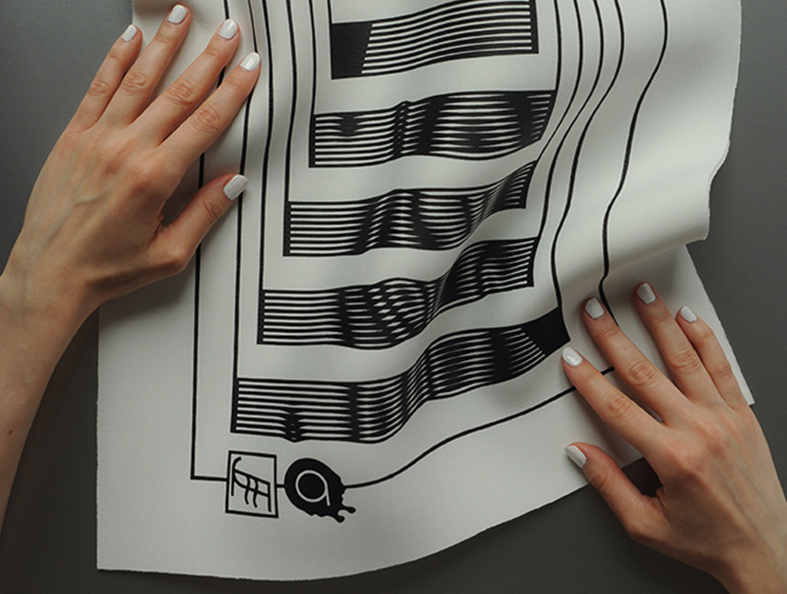 As its name would suggest, Liquid MIDI is essentially a flexible MIDI controller screen printed onto a piece fabric. 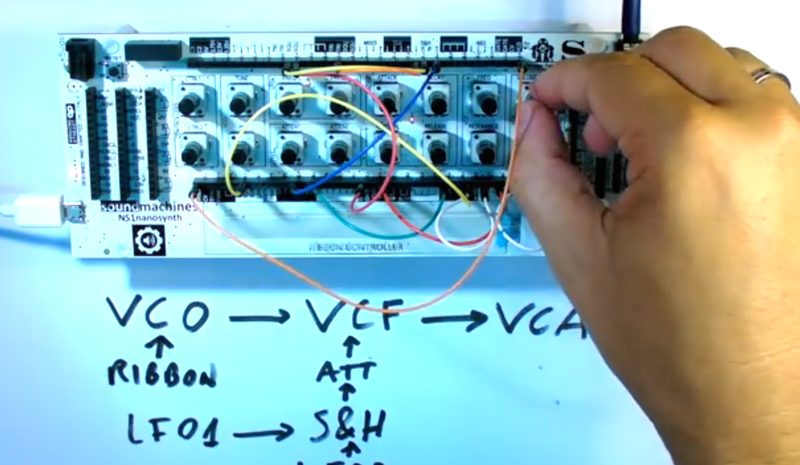 The controller is comprised of Bare Conductive Electric Paint on the material, which is connected via alligator clips to an Arduino Mega ADK (ATmega2560) that communicates with Max MSP and Ableton Live software. Though, the Arduino could easily be swapped out for a Touch Board (ATmega32U4). The result is a textile that plays MIDI notes whenever touched. This, of course, allows for a multi-sensory experience where the fabric itself becomes part of the overall message. Interested? Check out EJtech’s project page here, or see it in action below! This entry was posted in Arduino, Maker Movement and tagged Arduino, Arduino Mega ADK, ATmega2560, Bare Conductive, Conductive Ink, Electric Paint, Flexible MIDI Control, Liquid MIDI, Makers, MIDI on July 21, 2015 by The Atmel Team. 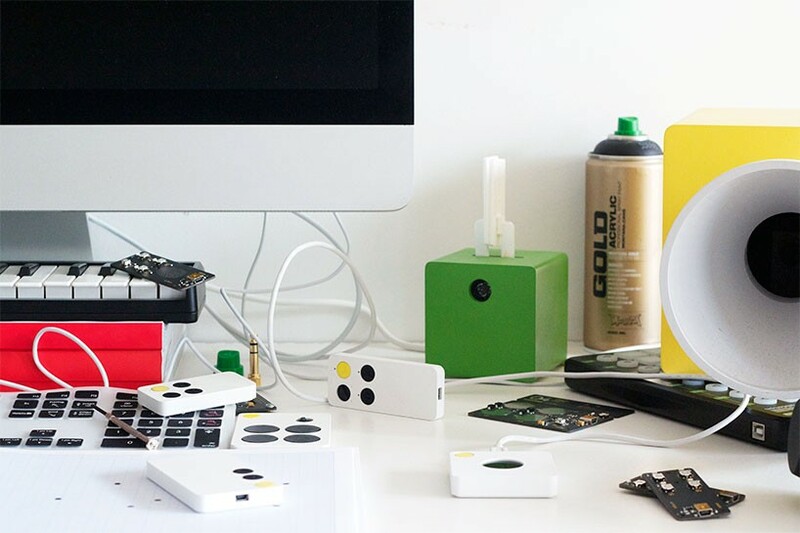 OWOW’s MIDI controllers empower everyone to make digital music in a fun and intuitive way. Dutch design company OWOW has developed what they describe as a new breed of five musical instruments, each of which come in two different versions: an affordable bare circuit board and another housed in a high-end aluminum case. 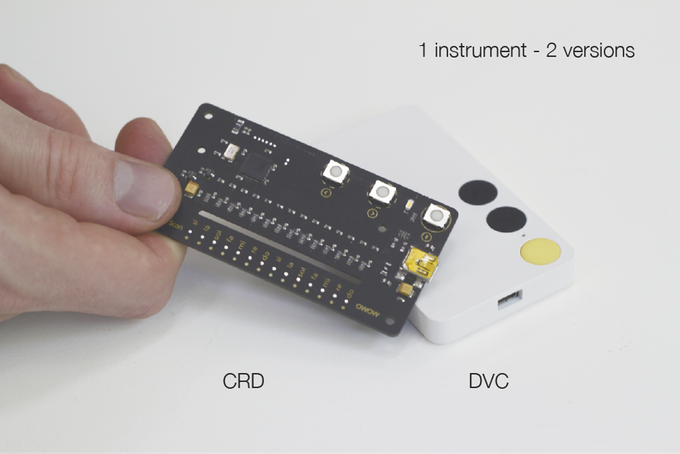 Both will link to any software and function as MIDI controllers. You may recall The Netherlands-based crew from their recent project dubbed Booty Drum. A collaboration with Danish audio studio AIAIA, the team employed an Arduino and a set of accelerometers to record the shaking of one’s derriere and translate it into some slick beats. Now, the crew has returned with another impressive musical marvel. As eluded to above, the small MIDI controllers come in two forms. First, the CRD model is a credit card-sized, barebones circuit board without a protective shell, while its encased DVC sibling resembles that of a much more finished product. As one would imagine, the basic version is a bit cheaper than the latter but does include 3D files for a compatible case should a Maker want to craft their own. “Many music producers make their sounds with just a mouse and keyboard. We believe music shouldn’t be like programming code where you drown in the endless possibilities of your software. We made instruments that allow you to play your music on the computer instead of coding it, bringing back that unique human touch in your sound,” the team explains. 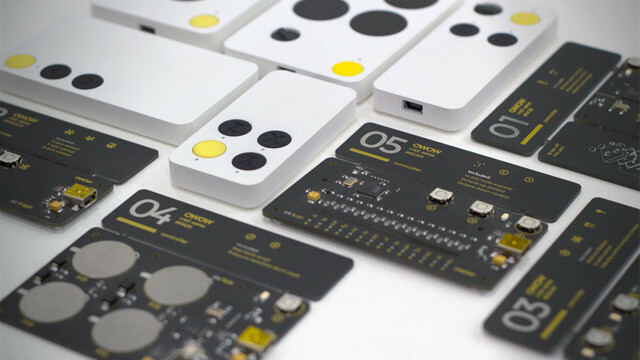 And so, OWOW’s latest lineup of sensors perform music based on the motions and drawings of its user to create unique beats and sounds in a much more intuitive, natural manner. Each of the instruments are “smartly built, but stupidly simple,” appealing to everyone from beginners to well-seasoned professionals. The devices, which work as MIDI controllers and are driven by ATmega32U4 MCUs, are compatible with nearly every kind of software (like Ableton, Fruity Loops, Logic, GargeBand, Reason and countless others) and automatically link with a computer or tablet without the need for drivers. Wob controls sounds and effects by moving the user’s hand closer or further away from the sensor, instantly creating sound through motion. Wiggle assigns effects to three rotational axes and gives the users fingertips total musical control. Drum triggers samples and sounds through air drumming, while sensitivity can be adjusted to match the strength of the beating. Pads are comprised of four pressure sensitive drum pads in a super portable form factor. Scan is a scanner that follows over a drawing and translates it into a unique piece of music. 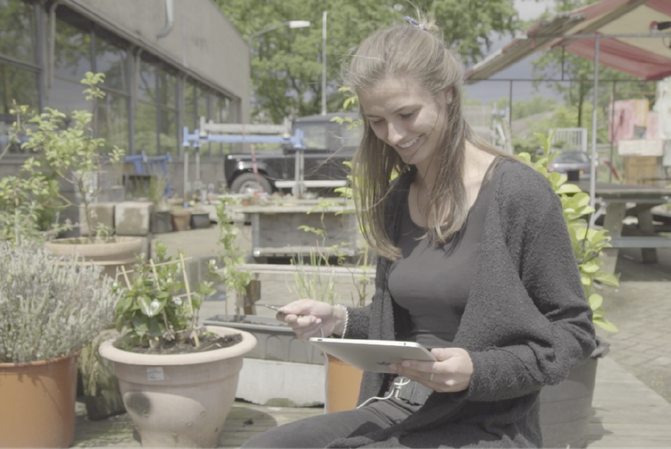 “Our musical instruments empower you to create digital music with the same intuition, passion and fun as traditional instruments, but the benefits of working with your computer,” OWOW adds. As the Maker Movement continues to take shape, a growing number of DIYers have creatively sought out new and exciting ways to produce music. Whether it’s tapping your upper thigh on the bus ride home from work, dipping some chicken nuggets into sauce during dinner or doing a little twerking in the club, the possibilities are truly endless. As to what’s next… your guess is as good as ours. Want to become the next Timbaland and Pharrell? Head over to the project’s official Kickstarter page, where OWOW is currently seeking $55,568. Shipment is expected to get underway in February 2016. 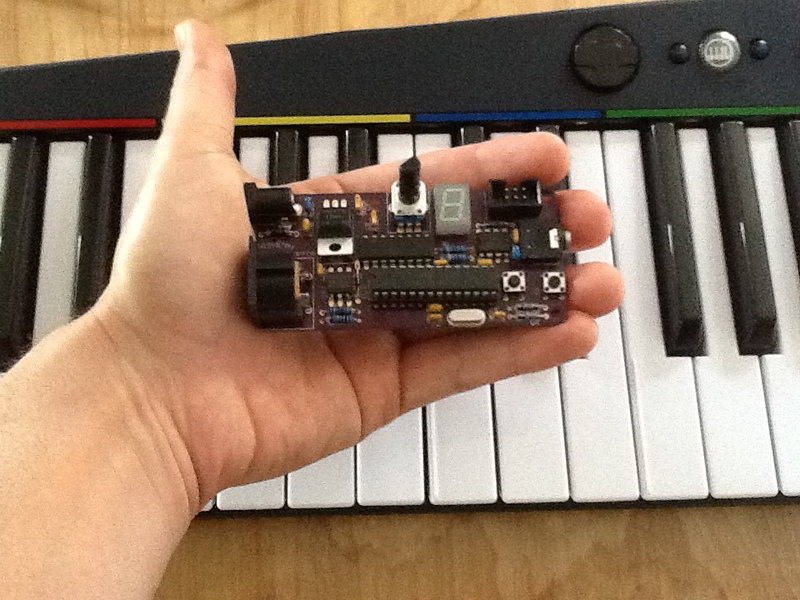 This entry was posted in Maker Movement and tagged Arduino, AVR, Kickstarter, Makers, MIDI, Musical Instruments, OWOW on June 9, 2015 by The Atmel Team. This Denver-based innovator is bringing art to life with an audible, tactile and visual experience. Step into any gallery and you can expect to find “Do Not Touch” signs plastered everywhere. What this means is that, in most cases, the piece of art stimulates only one of the five human senses. However, a Denver-based originator has set out to change that by providing viewers with an audible, tactile and visual experience as they glance at the imagery before them. 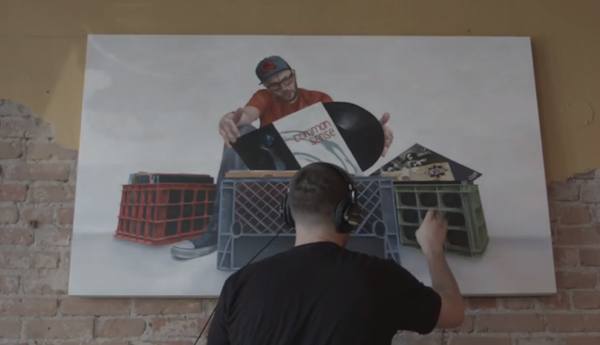 Thomas “Detour” Evans is not your typical artist, nor has ever aspired to be. In his recent collection dubbed Art and Decibels, the 30-year-old creator has devised a series of interactive, sensor-laden paintings that are specifically meant to be touched in designated spots. By doing so, the image is magically brought to life through sound. “This collection features the evolution of how I perceive art in the 21th century. With music as the foundation, It’s not enough for me to just use conventional methods; it’s empirical that I bring in other amazing artist of various forms to bring pieces alive,” Detour writes. Upon first glance, Detour’s pieces appear to be meticulously crafted portraits of popular hip-hop stars, ranging from Notorious B.I.G. and Tupac to Nas and Kendrick Lamar. However, beneath the canvas of each image lies a unique combination of electronics and conductive ink. 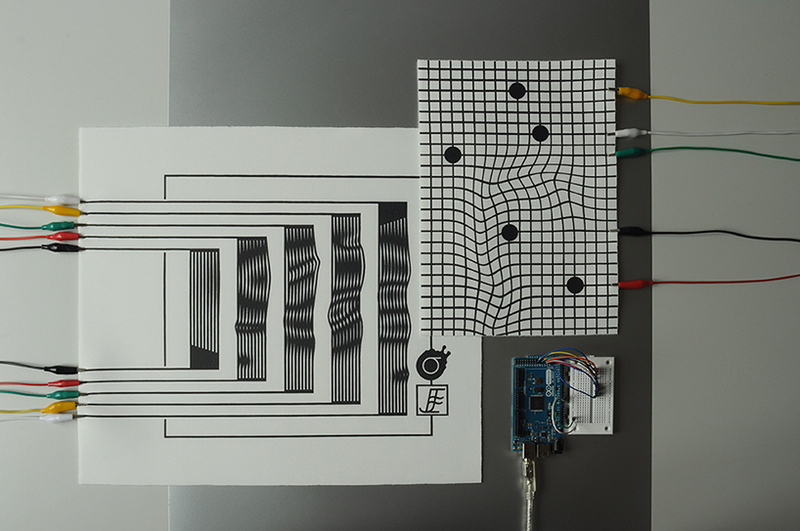 The artist has employed Bare Conductive’s Electric Paint along with a few Touch Boards (ATmega32U4) to enable each still-life to seamlessly double as an actual MIDI controller. This gives audience members a dynamic way to interact with the painting and truly connect with the subject matter laid out on the canvas. Unlike countless other forms of wall-mounted art, Detour explains that viewers are now able to become fully immersed, both mentally and physically. In order to bring this next-gen creations to life, Detour team up with several his close friends and veteran musicians to ensure the proper design of every painting so that they could play music and be manipulated like an instrument. This concept is something Detour has been brainstorming for years. “In 2009 I became infatuated with figuring out how to connect the viewer with the subject on the canvas… I mulled over the idea of deconstructing and reconstructing a MIDI controller and installing it. Unfortunately the technology and the canvas didn’t mesh well. It wasn’t until I stumbled across the Bare Conductive Kickstarter that I saw some of the potential with the Touch Board. 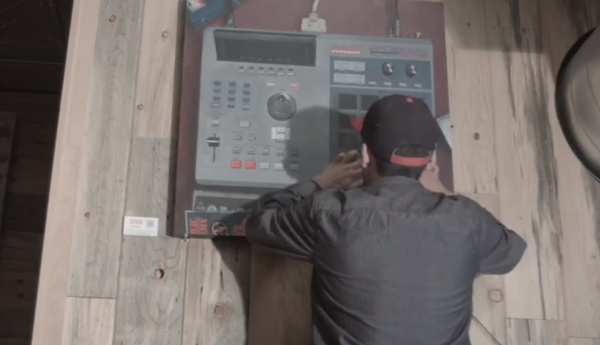 When I got the package and took the Electric Paint and Touch Board to one of my DJ/producer friends, it became the start of a long process to create these interactive paintings,” the artist revealed in his latest interview with Bare Conductive. 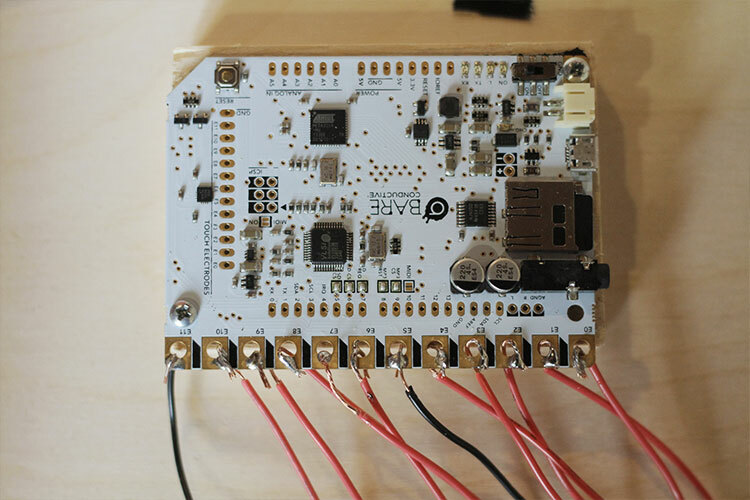 The creative process, which he has elaborated upon in a tutorial over on SparkFun, includes wiring the back of the canvas so that the sensors are emerging through the front in various locations. These sensors are connected to a computer and act as triggers in such a way that, when tapped, they emit a sound. Generally, every painting features around a dozen or touch points, each delivering a unique tune. Once the electronics are embedded, Detour paints his masterpiece just as he would any other portrait. Cognizant of where the sensors are located, he envisions how a particular piece needs to be manipulated — whether that’s using the outline of a milk crate as a matrix MIDI soundboard or lines on a t-shirt as a keyboard. Pretty sweet, right? Head over to Detour’s official page to learn more, as well as get started on creating a musical masterpiece of your own here. This entry was posted in Arduino-Compatible, Maker Movement and tagged art, ATmega32U4, Bare Conductive, Bare Conductive Touch Board, Conductive Ink, Detour, Electric Paint, Interactive Art, Makers, MIDI on June 2, 2015 by The Atmel Team.